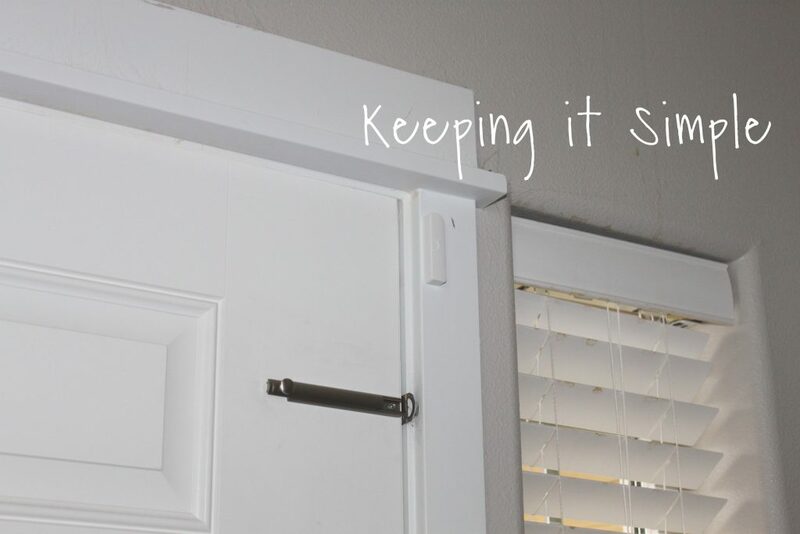 For several years now my husband and I have been talking about getting a security system. It seems like there are more and more break ins happening and we want to keep our house and family protected. We really talked about getting a security system when there were a few break ins happening in our neighborhood a couple years ago. We decided that we need to take action and get something. We wanted to get something that was good but wouldn’t break the bank, because we don’t have a ton of extra money in our budget. I’m sure a lot of people can understand that. 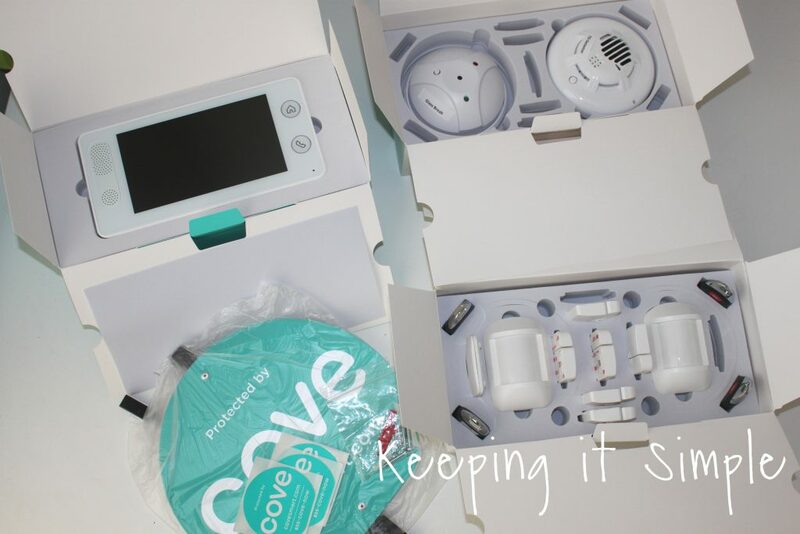 So we looked around and really liked the look of the Cove Smart security system. I loved that you could pick out exactly what you wanted, so you didn’t have to pay for a kit that came with stuff that we didn’t necessarily need. My husband loved that it is super easy to install (because he knew that is what he would have to do). We picked out what we wanted and we were super excited to install it and start using it! We have been using it for more than a month now and we are LOVING IT! Here is a video to show you how to install the Cove Smart security system. 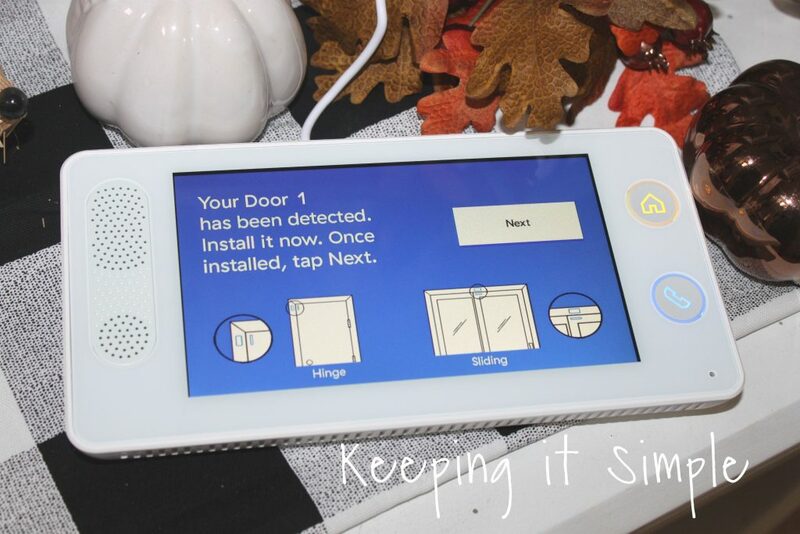 • 3 door monitors- We have three doors that go to our outside, the front door, the back door and then the garage door. • 3 window monitors- We have three windows on our main floor that open, so we got a monitor for each one. • 4 key remotes- We have several sets of house keys, so we got one for each set. Every house is going to be different and every household has different needs, so it’s so nice to be able to pick and choose what you need. Here is a picture of what we got. All of the detectors and sensors have sticky tape on the backs of them to install them onto the walls and ceilings. It is a super strong tape and sticks really well. 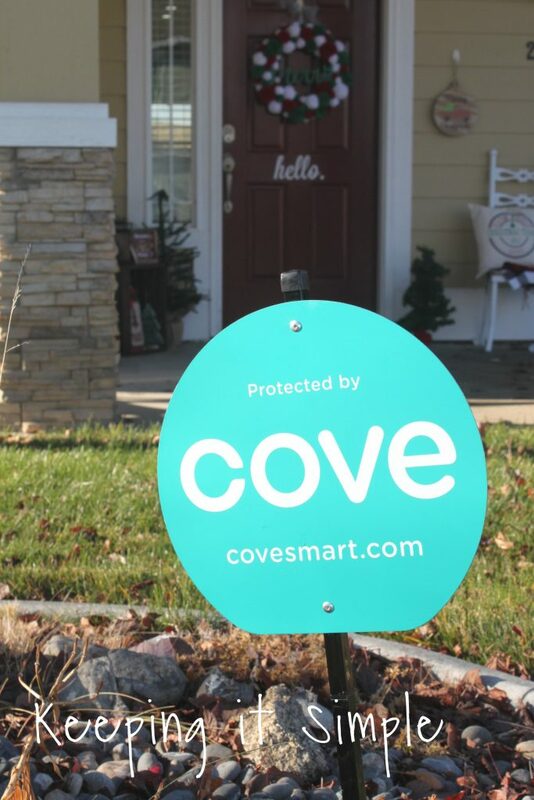 This is how we installed the Cove Smart security system. First thing we did was plug in the security system. It comes with a screw so that you can screw it into the face plate of the outlet. 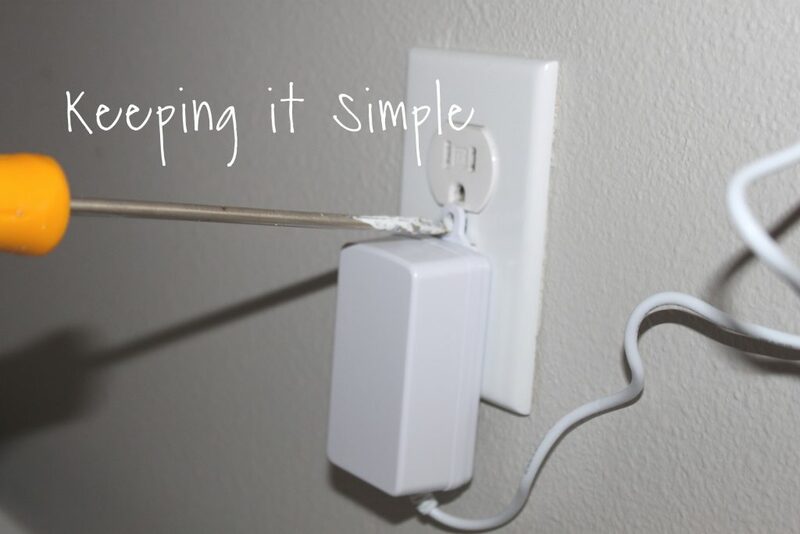 That way you don’t have to worry about it coming unplug, just one less thing you have to worry about, phew! Once it was plugged in, we then started the installation process. It gives you instructions and commands as you go through. The Cove touch screen walks you through the whole thing, it’s really nice. The first thing we did was set up a pin so that we could easily disarm the security system. It is always tricky to find a pin that everyone in the family can remember but isn’t obvious to anyone else. The cove touch can be placed on a table or on a wall. Once we set up the pin, it was time to start installing the detectors and sensors. The first ones we installed were the door sensors. To start that, we took one of the sensors and pulled them apart, that activated them. Then we placed them onto an outside door. There are little lines on the sensors that you have to line up and have them be less than an inch apart. If you can’t get them to be parallel, you can put them at a right angle too, just as long they are less than an inch apart. 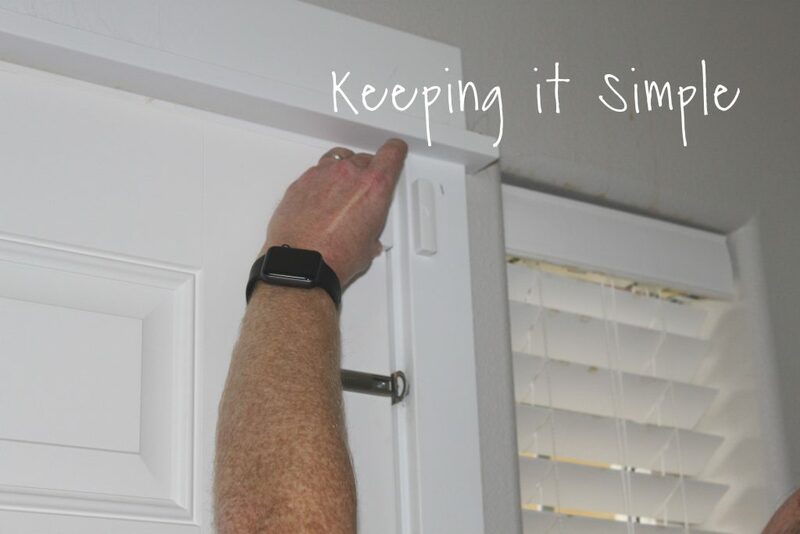 We put on one side of the sensor onto the door frame, like in this picture. Then we placed the other side onto the door, making sure that they were lined up. You have to make sure that one side doesn’t move and then the other side is on the part of the door that moves, that way the system knows that there was motion and the door is open. I have been really impressed by how well it senses the doors. You know how kids will not close the doors all the way, leaving them open a crack?! I’m sure your kids have done that before, right?! Well even if it is open a crack, it will detect it and tell you that it’s open. Which is nice because when you’re about to leave and arm the system, it will tell if you any doors or windows are open, it’s great! Once we installed all 3 of the door sensors, we then installed the windows. You do that the same way as the door sensors, just with windows. Once those were all installed we then went and renamed all of them in the system. Before they were called door 1 or window 2 but now they are called front door or bedroom window. After all the door and window sensors were installed we then moved onto the motion sensors. 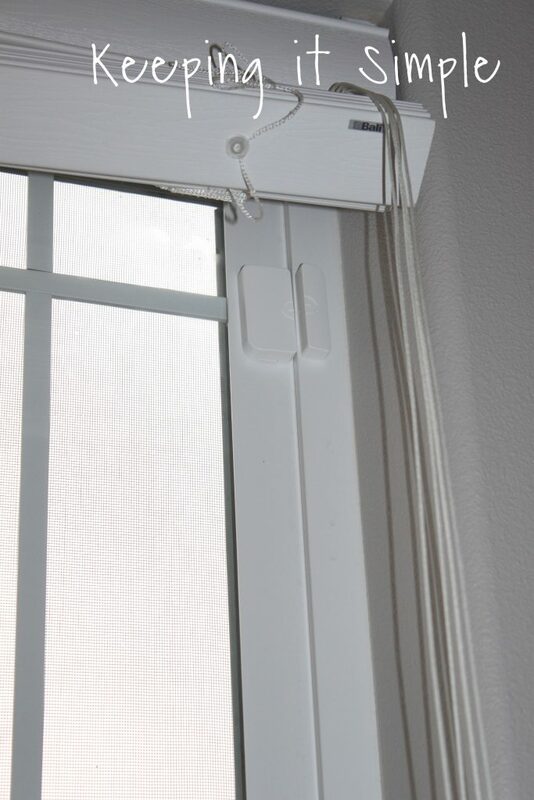 These are recommended to be installed about 7 feet off the ground and in a place that is open and can detect motion. To install them, all you have to do is press the little button on the side and then put the onto the wall. We got two of them, one for the area around our back door and one for our entry way. You can adjust the settings of detection, so it won’t pick up your animals moving or something like that. 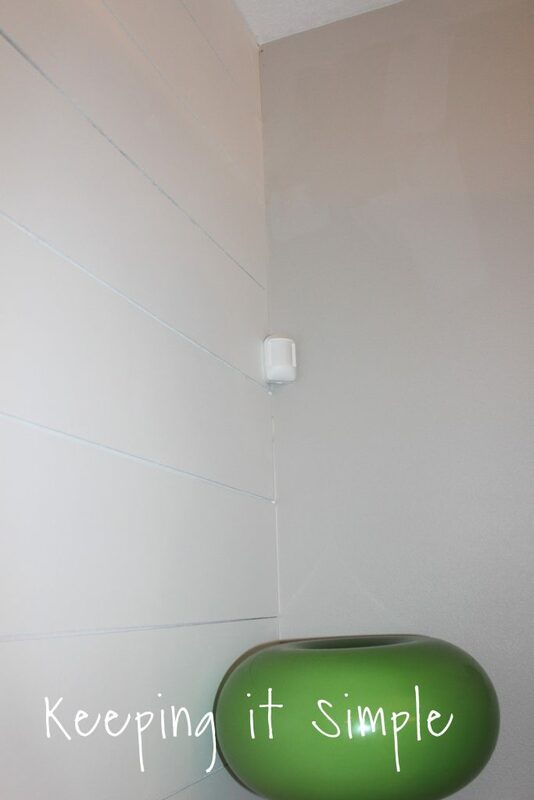 The last things we installed were the carbon monoxide detector, the glass break detector and the flood sensor. 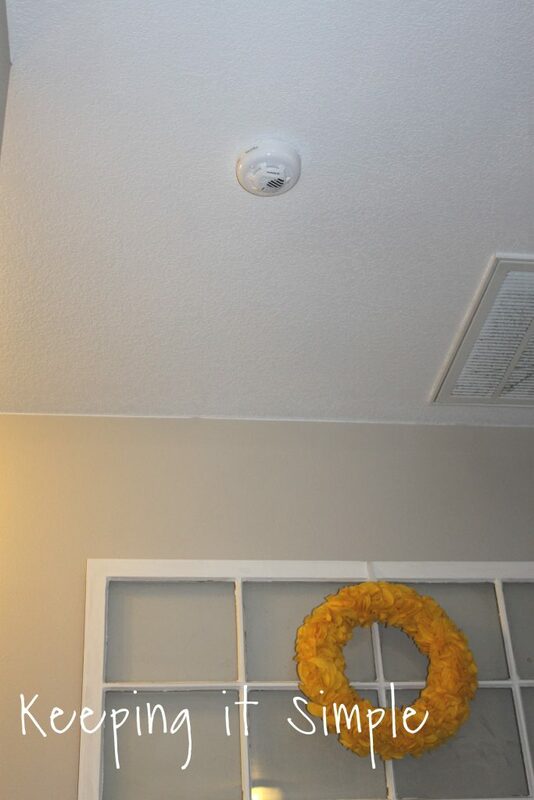 We put the CO detector on the ceiling right by our furnace and water heater and then the glass break detector is right in between some big windows in our living room. The flood detector can be placed anywhere, so we just move it when we need it. Like if we leave the house for a trip, we can put it by the water heater to make sure there is no leaks. Or if you’re afraid of freezing pipes, you can put it next to your washer and dryer so if you do have a pipe break and it floods, it will pick it up. It’s nice to be able to just move it when you need too. Right now mine is in the base of the water heater. Once we had everything installed, we then got to use it! 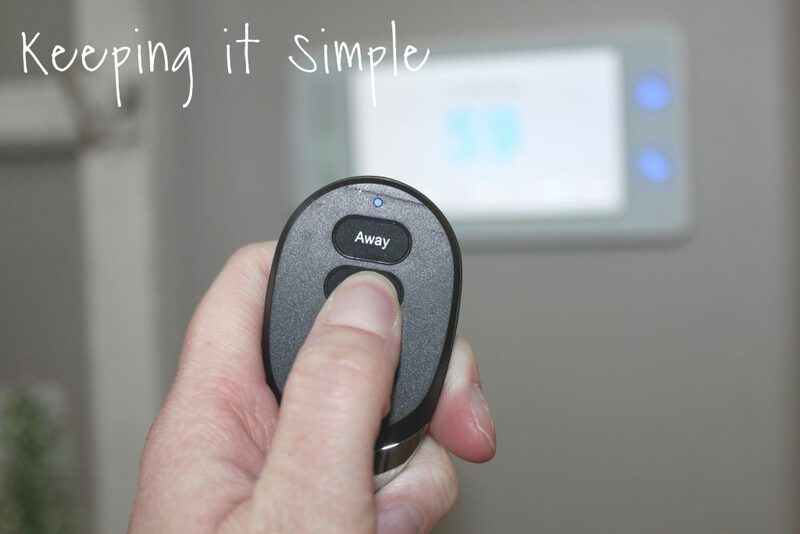 One of my FAVORITE features about the Cove Smart security system is the key remote. It is AWESOME!! It’s so easy to arm the system and even easier to disarm it. There are two ways to arm the system, stay and away. 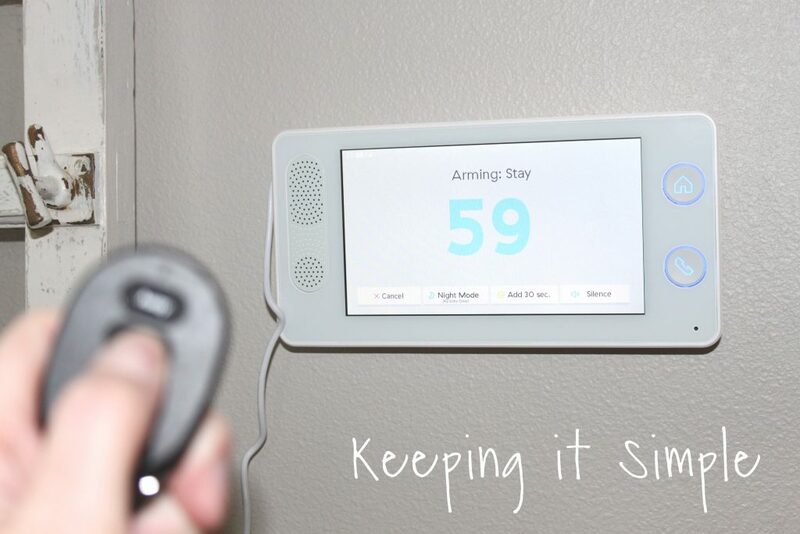 The stay is for when you’re in the house (like at night), it doesn’t turn on the motion sensors but it will go off if a door or window is open. And then the away turns everything on. So when I am out and about in town, I just set the system to stay. But when we go out of town, we set the system to away. 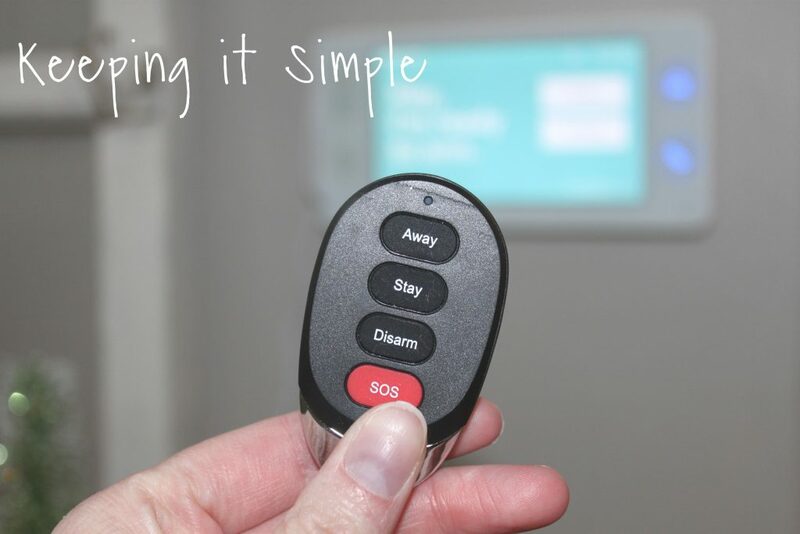 The key remote is seriously so easy, all you have to do is push the button and hold it down for a couple seconds and that arms the system. The system starts to count down, so you have 1 minute to get everyone out of the house. During the one minute you can open the doors but once it’s over it is armed. So usually, I will just go to my garage and then with the key remote, turn it on from there. And when I come home, I disarm it from inside my garage. It’s seriously so easy, I love it! We have 4 of these key remotes. One for my car, one for my husband’s car and then with my kids’ house keys. We have two sets, one for our elementary aged kids and one for our middle school aged kids. With these key remotes, it makes me use the system so much more because if we had to put a pin in every time we armed the system, I know that I would be less likely to arm it because it would be such a hassle. And that kinda defeats the purpose of having a security system, especially since a lot of break ins happen in the day and not when you are out of town. So the fact that my kids can just push a button to disarm it, makes it so much easily. There are a lot of times that my bigger kids get home from school and no one is here, so they can disarm it from outside before they come in. Instead of trying to hurry and get the pin in after they have walked into the door (they only have 30 seconds to disarm it before it goes off). It really just takes away a lot of the stress and it’s so nice! Like I said before, we have had the Cove Smart security system for about a month now and it’s been so great! We headed out of town for a few days over Thanksgiving break and it was so nice to know that our house was armed and protected and if anything were to happen, we would get a text and be notified about anything. Luckily we didn’t getting any kind of notification while we were gone. As far as security systems go, no news is good news! We put this sign out in our front yard so people know that we are protected by Cove and we are proud of it! 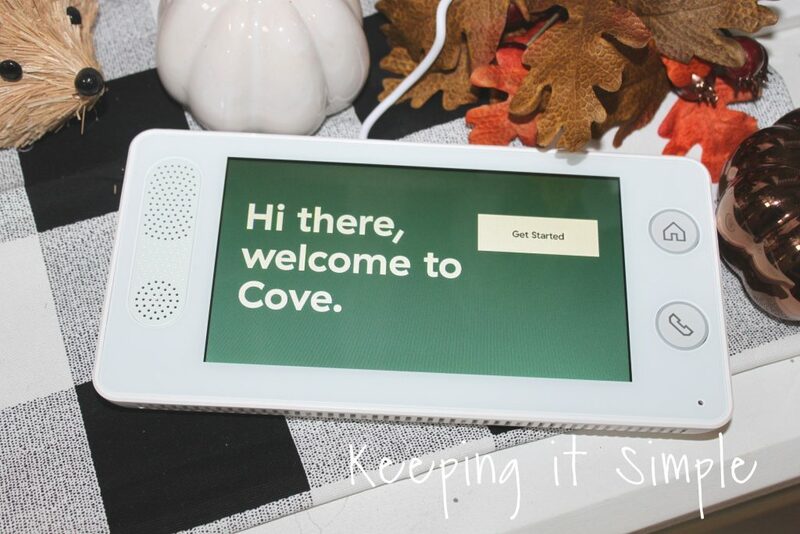 If you are looking for an affordable security system, then I definitely recommend checking out Cove Smart. I have been so impressed with it so far! The shipping was quick and the installation was super easy! Plus I had costumer service call me one day, just to make sure that everything was okay and they were very helpful when I asked them a couple questions. They didn’t try to sell me anything else and were super kind and very genuine, which was so nice because you don’t see that much anymore these days. They didn’t seem to be in a rush when I was asking questions and they were not pushy in any way, they just truly wanted to make sure that I was happy with my purchase. 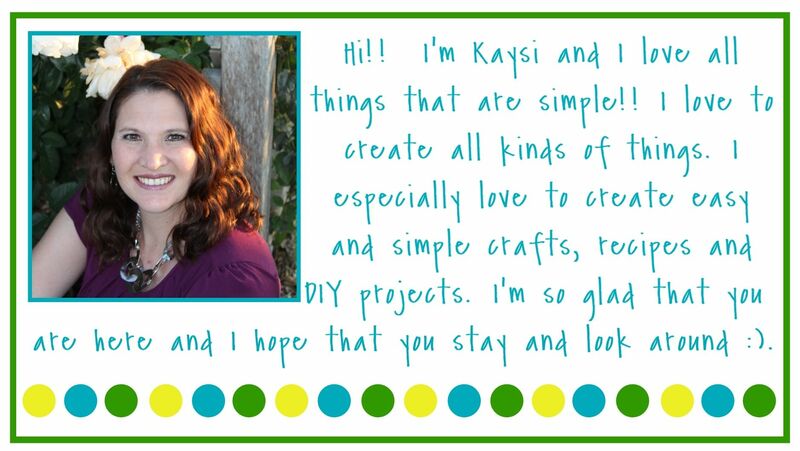 Because I love this system so much, I wanted to share with all of you a 20% off coupon!!! You can get the security system for 20% off with the code EDISCOUNT20. Go here to purchase it. I hope that you love it as much as I do! This is a sponsored post, I was given product in exchange for this post. All opinions are 100% my own.